Mpac Langen offer a range of options for top load cartoning, depending on your needs. Robotic top load cartoning system the LRC-400™ is a durable and modular robotic top load cartoner, for integration with carton erection and closing equipment. The TLC-80™ is a fully integrated top-load tray/carton loading system which provides a compact layout that allows manufacturers to reduce manufacturing costs. Integration of the tray/carton erector, load station and tray/carton sealer allow the tray/carton to be completely contained through the entire operation resulting in optimized machine efficiency. 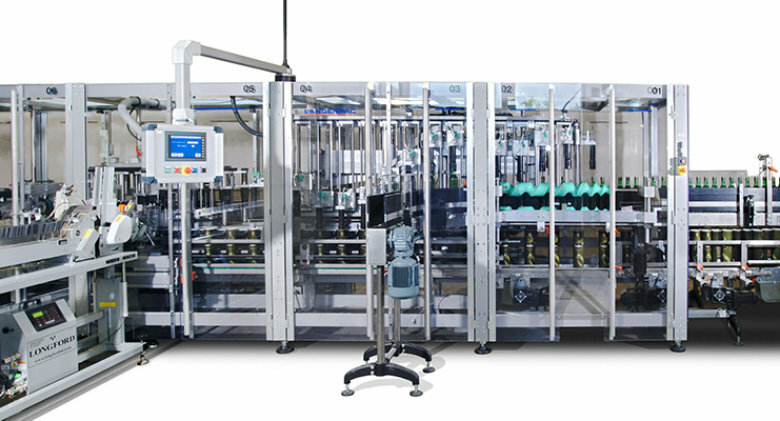 Specifically for the spirits industries Mpac Langen offers a range of vertically loaded machines for bottle packaging either into gift cartons (VCC™) or composite tubes (VTF™). A combination machine is also offered for packing spirit bottles into both cartons and tubes (VCC-VTF™).